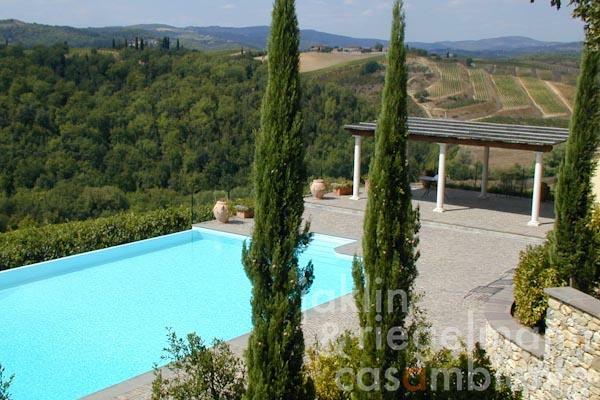 The medieval Chianti castle is located on a scenic hill in a historic setting and absolute tranquillity of the southern Chianti hills only 15 km from Siena. Its origins are dating back to the 10th century, when it was first mentioned in documents from the year 912; the discovery of a Roman wall under the castle confirms a much older age. The estate was restored from 1996 to 2001, thoroughly renewing its infrastructure and installing all services underground. 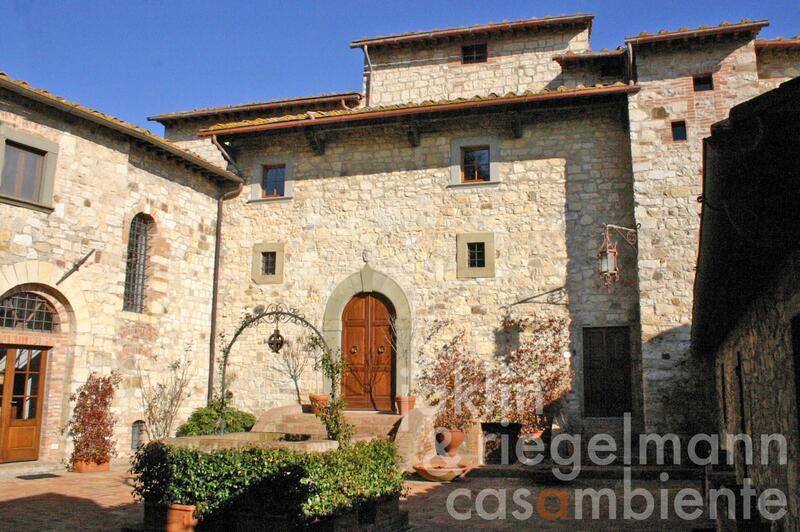 Parts of the property are a high end winery, that produces excellent Chianti Classico DOCG and Supertuscans. 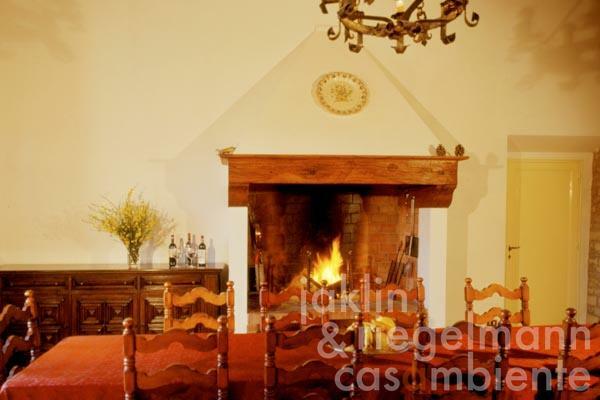 The estate comprises 52 ha (128 acres) land including 16 ha (40 acres) of vineyards, a state-of-the-art wine cellar, a habitation, an approved building project for 2 houses, and a beautiful swimming pool. Production of up to 100,000 bottles of high end DOCG Chianti Classico, Riserva and 2 Supertuscans achieving high ratings from international wine journalists. Own labels and sales contacts. Italy, region Tuscany, province Siena, municipality Gaiole in Chianti. 52 ha (128 acres), private courtyard, expansive garden, 16 hectares vineyards, of which 15 ha are registered as Chianti Classico, the rest as IGT (Supertuscans); 2.7 ha traditional grapes Sangiovese, Canaiolo, Malvasia; 2.0 ha Sangiovese Grosso; 1.5 ha Cabernet Sauvignon; 1.5 ha Merlot. The rest are new Sangiovese clones planted in 2000 – 2006. 5 ha olive groves, 30 ha woodland. 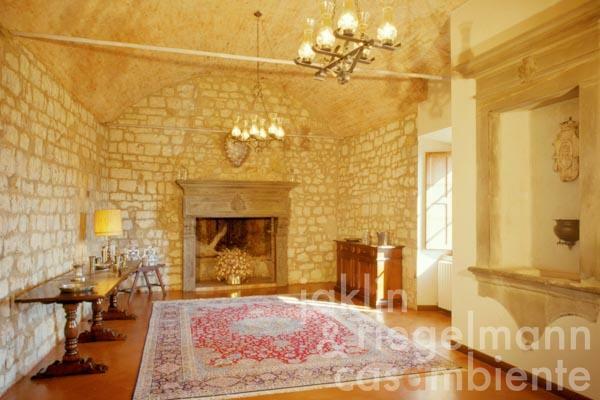 Electricity, mains water, own well water, central heating, fireplace, gas tank, telephone, satellite-TV, alarm system, irrigation system, swimming pool, garage, carport, terrace, vineyard, olive grove, garden.